Drag-and-drop a file having a .txt extension into the main window. VueMinder can import events from tab-delimited text files. This is nearly the same as importing from csv files, except instead of values being separated by commas, they are separated by tabs. 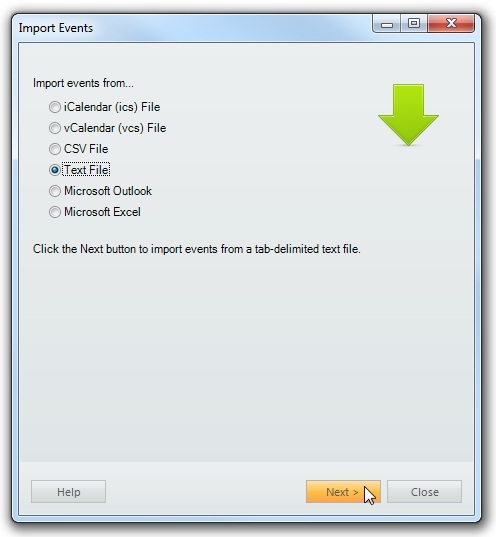 See Import Events from a CSV File for details.